The recently ousted GERB party holds a slight lead over the opposition Socialists with 30.3% of the votes, but far below 43% needed to hold parliamentary majority, according to an exit poll. GERB, whose founder, formal leader and most popular face is former Prime Minister Boyko Borisov is expected to secure 97 seats in the national parliament, Gallup agency said in its exit poll. It is followed by the opposition Socialist Party, which garnered 27% of the votes and will capture as many as between 85 MPs in Bulgaria's 240-seat unicameral parliament. Another 34 seats are expected to go to the previous partner in the Socialist-led ruling coalition (2005-2009), the ethnic Turkish Movement for Rights and Freedoms, which garnered 10.7 % of the vote. Fourth ranked the nationalist Attack party, which has capitalized on anger at corruption and poor living standards and has tapped on ethnic debate. It landed 7.5 % of the vote and is expected to secure 24 MP seats. The centrist Bulgaria of the Citizens, headed by former European Commissioner Meglena Kuneva, failed to overcome a threshold of at least 4% of the votes to gain seats in parliament after garnering 3.9%. The right-wing parties, which are credited with throwing out the ex-communists who had pushed the country to the brink of financial crisis in the 90s, failed to pass the 4% threshold, set by the Parliament. 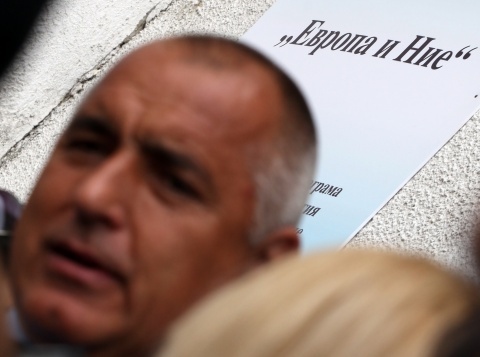 Coalition Democrats for Strong Bulgaria and Bulgarian Democratic Forum, led by the hard-line rightists of former Prime Minister Ivan Kostov, garnered 2.6 % of the vote. The conservative Order, Law and Justice also failed to win 4 % of the votes to enter the race for the 240 legislative seats, according to the exit polls.